Based on the success of the TZ1, a lightweight, space-frame race car, the TZ2 was lighter, lower and more powerful. Both cars were built by the team at Autodelta made up of owner Carlo Chiti, and design engineers Oarzio Satta and Guisseppe Busso. When the design work for the TZ2 took place Alfa Romeo had purchased Autodelta and given them responsibility for all of Alfa Romeo’s race development and team management. Since the TZ2 was to be a factory racer and would not have to meet homologation requirements, Autodelta was able to focus solely on performance and consider new concepts. Following Porsche’s lead as used in the 904 Carrera GTS, the body of the TZ2 is made of glass-reinforced plastic (GRP). This alone allowed the TZ2 to shed nearly 100 kg, but, in addition to the lighter weight, the TZ2 also had an all-new, fully-adjustable suspension. The body, designed by Ercole Spada of Zagato, sat a mere 41 inches high, and many have called the TZ2 a “mini Ferrari GTO.” Under the hood, is a delicious 1.6 liter inline four, prepared by Virgilio Conrero's Autotecnica Conrero shop in Torino. The TZ2 dominated GT-class racing for 18 months, thoughts of putting one into production were toyed with but, never realized. This was the last front-engine racing Alfa before the Tipo 33 took over. 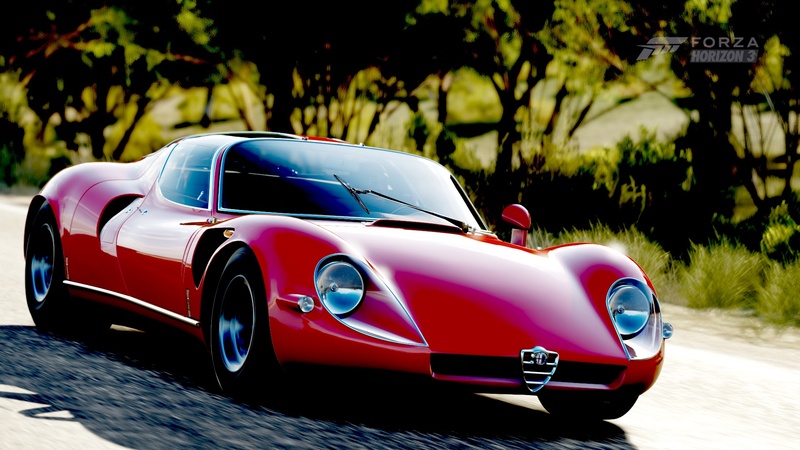 One of the most beautiful cars ever built, the lightweight and powerful Alfa Romeo 33 Stradale also holds the record of being the most expensive new car sold in the U.S. of its time (at around $17,000). Initially as many as three of the extremely rare Stradale came to North America; today, only two remain on the continent. 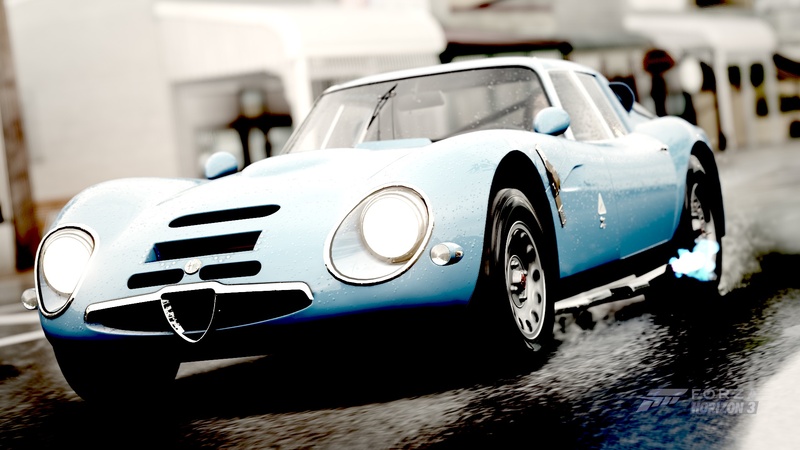 The car modeled for Forza Motorsport 5 is part of one of the greatest private collections of Italian cars in the world. These cars were ahead of their time, using butterfly-style doors, large wrap-around glass, twin-spark ignition, dual-overhead cams, a six-speed Coletti transmission, and plenty of lightweight magnesium parts. As you start the two-liter V8 engine, it doesn’t take long to realize the powerplant is only inches behind your head. With an RPM redline of 9,500 —outrageous for 1968 — you hear a symphony of sound from rumble to scream. 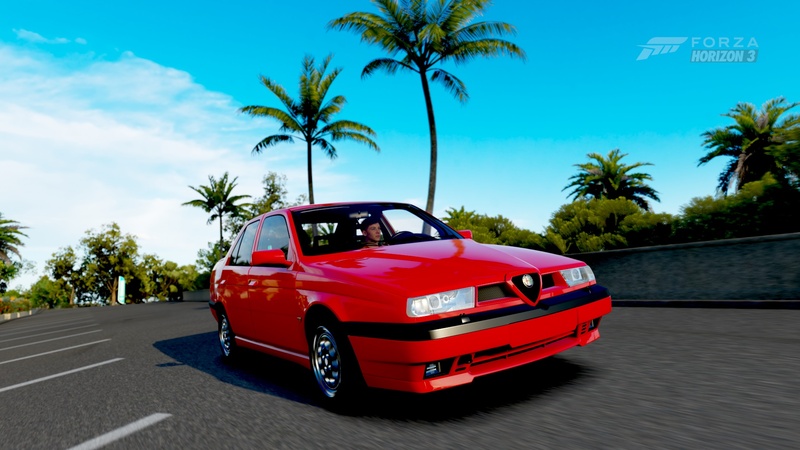 Technically, the 1992 Alfa Romeo 155 Q4 can be termed a "compact executive", but this car has the heart of a touring car. Introduced in 1992, the 155 was a larger replacement for the Alfa Romeo 75. The Q4 version features a 2.0 liter turborcharged engine capable of 187 horsepower and, unlike the front wheel drive 155, sports an AWD drivetrain. Capable of a 140 mph top speed and a 0-100 kph in around 7 seconds, it’s little wonder that the 155 had success in touring car racing. 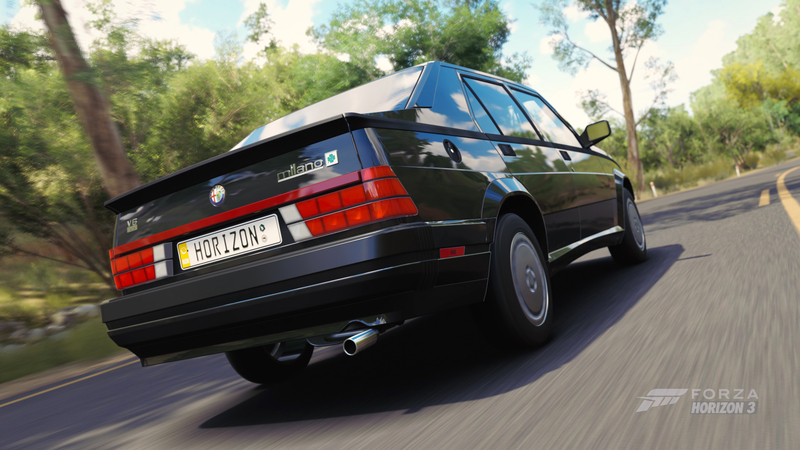 It’s a fun drive with a body style that’s begging for a race replica livery in Forza 4. 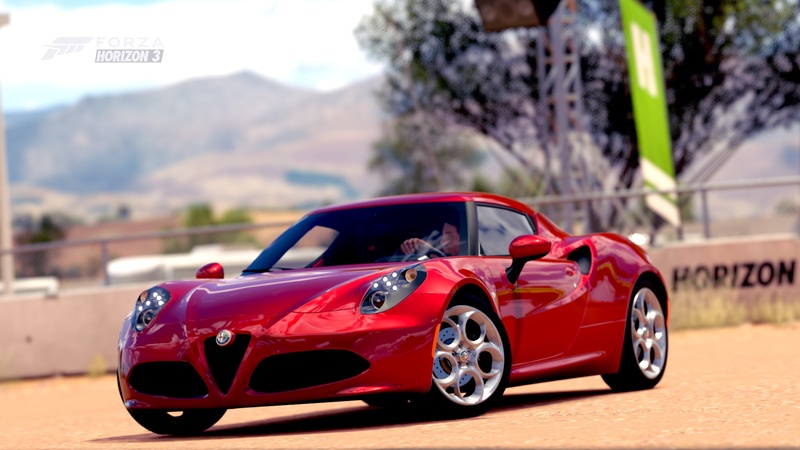 Born during an age where the four-door sports car was in its infancy, the Alfa Romeo Milano Quadrifoglio Verde is still the red hot Italian you expect it to be. Regardless of how many doors it has or how big its trunk is (and it is cavernous), the Milano QV was compared to the Porsche 911 and models from Ferrari in its time. 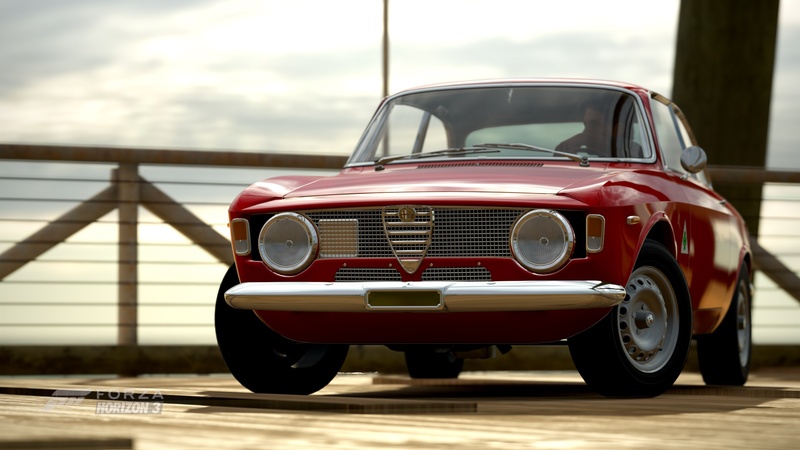 Alfa Romeo has always been synonymous with styling that stands the test of time and performance. Well, performance and plenty of required maintenance to keep each precision-tuned masterpiece running like a Swiss clock. In Europe, the Milano is known as the 75, marking Alfa Romeo’s 75 years of production. Technologically, the Milano is a full of marvels such as an inboard disc brakes and a perfect 50/50 weight distribution, due in part to a rear-mounted gearbox. It’s one sedan that will have you ogling its looks while you hunt apexes at the track. 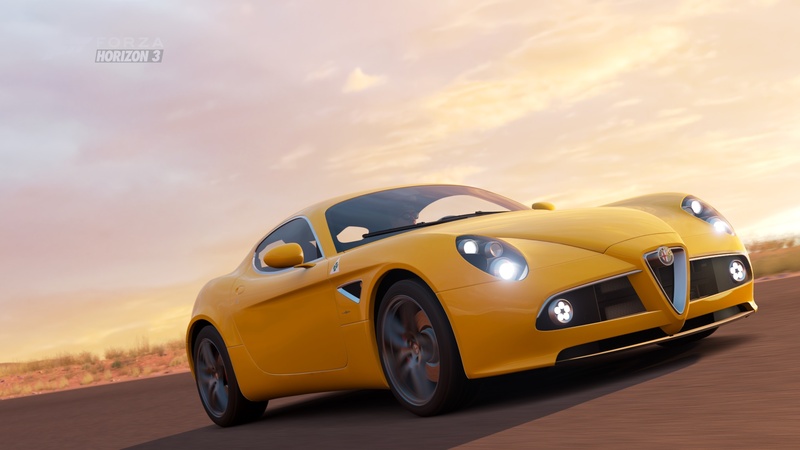 From every possible angle, the 8C Competizione is a steel-and-carbon-fiber supermodel of the highest order. Yet you might be surprised that it wasn’t designed by one of the famous Italian coachbuilders—instead the 8C was designed in-house at Alfa Romeo’s own design center. The 8C also has the beast to back up the beauty, using a version of the 4.3-liter V8 that sees duty in the Maserati Coupe and the Ferrari F430, and is precisely balanced with a 6-speed transaxle mounted just ahead of the rear wheels. Keeping all the weight inside the wheelbase allows the 8C to dance with the finest corner-carvers around, and it can hold its own at a stoplight drag by handily laying down 12.4-second quarter miles. Of course, with those looks, a simple cruise down the boulevard will rack up double-takes without needing to even let the 8C’s 450 horsepower sing its warbling quad-exhaust note. At long last, an Alfa for the rest of us, and available in the U.S. No, you are not dreaming, it has happened; a sporting Alfa Romeo will be sold in the States. Look out, sports car fans, the 4C has everything needed for spirited driving and even a few creature comforts. First off, the form which has met with near universal praise from fans and critics alike. As with any sports car built by Italians, the looks are only the icing; it’s the cake that is really tasty: a carbon-fiber tub between twin aluminum sub-frames, and a rip-roaring turbo-charged four-cylinder with enough gusto to give anyone a permanent grin. The engine is behind the cabin, where it should be. 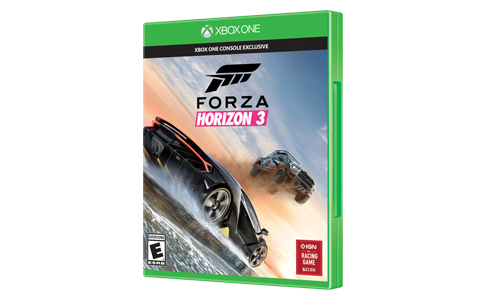 The resulting driving experience is visceral, and will have you wishing for the next off-camber corner all day. Thank you Alfa, we needed that!